Headache specialist Peter McAllister, MD, medical director, New England Institute for Neurology and Headache, and chief medical officer for the New England Institute for Clinical Research and Ki Clinical Research in Stamford, Connecticut, agreed. “Although any significant change in a headache pattern should prompt consideration of a secondary headache such as a tumor, only about 40% of tumors have headache pain as a predominant symptom,” he said. It is frequently not possible to differentiate a primary headache from 1 that is secondary to a brain tumor, Dr Taylor said, “as the most common presentation of tumor-related headache is identical to a migraine headache. 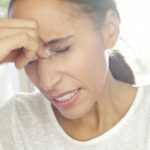 Progressive headache is probably the most important sign of a tumor, especially if it is coupled with new or progressive sensory or motor symptoms or personality changes,” she noted. Three main types of tumors have been associated with headache symptoms, including pituitary tumors (in both benign and malignant forms), meningiomas, and glioblastoma multiforme, the most common brain malignancy. Nelson S, Taylor LP. Headaches in brain tumor patients: primary or secondary?Headache. 2014;54:776-785. Headache Classification Subcommittee of the International Headache Society. The International classification of headache disorders, 3rd edition (beta version). Cephalalgia. 2013;33:629-808. Taylor LP. Mechanism of brain tumor headache. Headache. 2014;54:772-775. Vazquez-Barquero A, Ibanez FJ, Herrera S, et al. Isolated headache as the presenting clinical manifestation of intracranial tumors: A prospective study. Cephalalgia. 1994;14:270-272. Bioardi A, Salmaggi A, Eoli M, et al. Headache in brain tumours: A symptom to reappraise critically.Neurol Sci. 2004;25:S143-S147. Levy MJ. The association of pituitary tumors and headache.Curr Neurol Neurosci Rep. 2011; 11:164-170. Levy MJ, Matharu M, Goadsby PJ. Chronic headache and pituitary tumors. Curr Pain Headache Rep. 2008;12:74-78.